Help people even when you know that they can't help you back. The farmers in Marathwada are not having good financial condition and now since past few years the region is regularly going through drought situation. This is adding up to their difficulties. With all this already in place, if unfortunately they caught in to any accidents or tragedy then it's very tough for them to survive through it. Ofcourse there are Government schemes are in place, but in addition to lengthy documentation and approval process there are several reasons for which farmers do not receive immediate financial aid. Even if they fulfill all required criteria and needed documentation, it is very tough for them to make it pass through local government authorities - not always but most of the times. 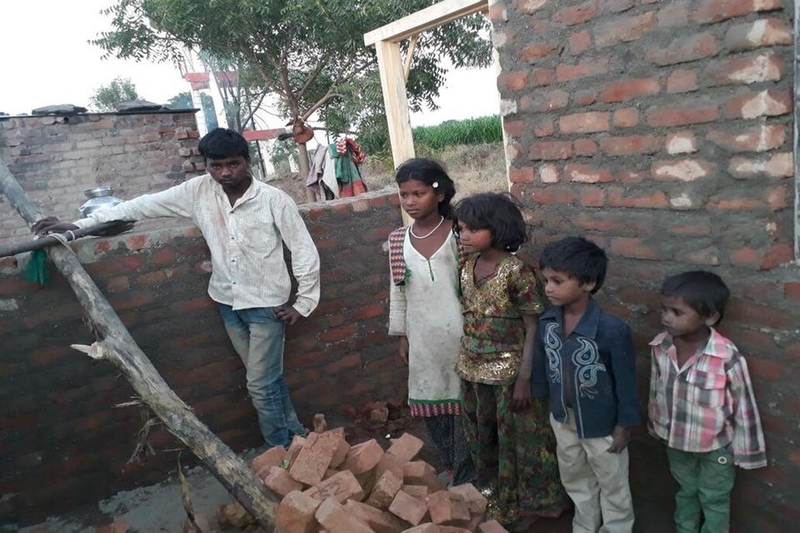 Therefore, Aadharwad Foundation offers best possible financial aid to farmers, labors and other poor families who has been victim of any tragedy. Shri. Ankush Wagh, a poor farmer from village Shristi Wahegaon lost his house in a fire tragedy on 27th Jun 2016. The fire was intense that they lost their cloth, utensils as well as all food grains stored at home. After survey local Government officials offered him few hundreds as as compensation, but it was not enough at all. 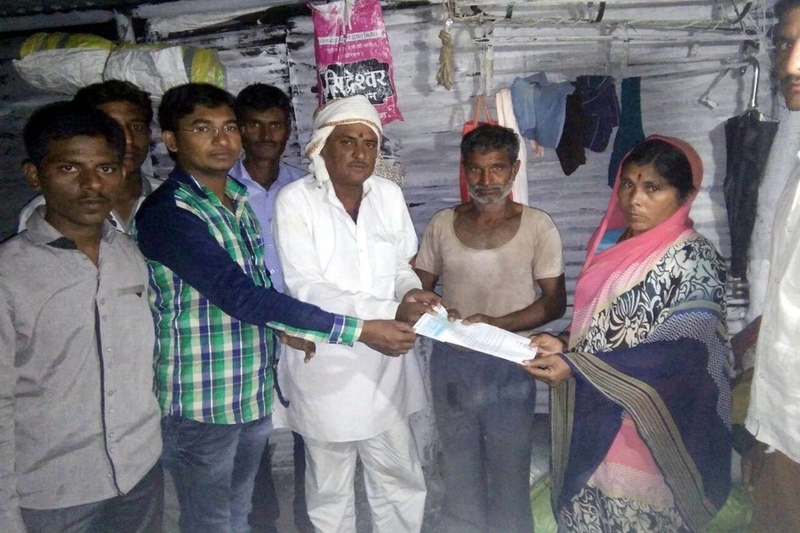 Their villagers approached Aadharwad Foundation asking for financial help and then immediately Rs. 20,000/- provided to that farmer, right at his door. It has helped him to survive somehow and feed his family at least for next few days, until he managed to borrow some money from his relatives. Shri. 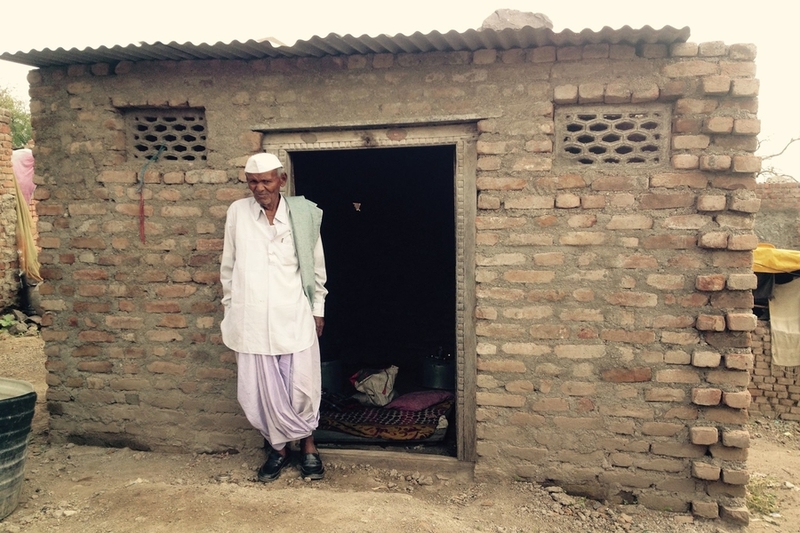 Kishan Hiwale (Age 70) from a small village Dolhara in Partur taluka, lost his house in an heavy rain and since then he was staying beside the wall of an Grampachayat complex building, having just few utensils and a self made blanket. In Oct 2014 it came in to our notice and then within next few days we rebuilt his house. 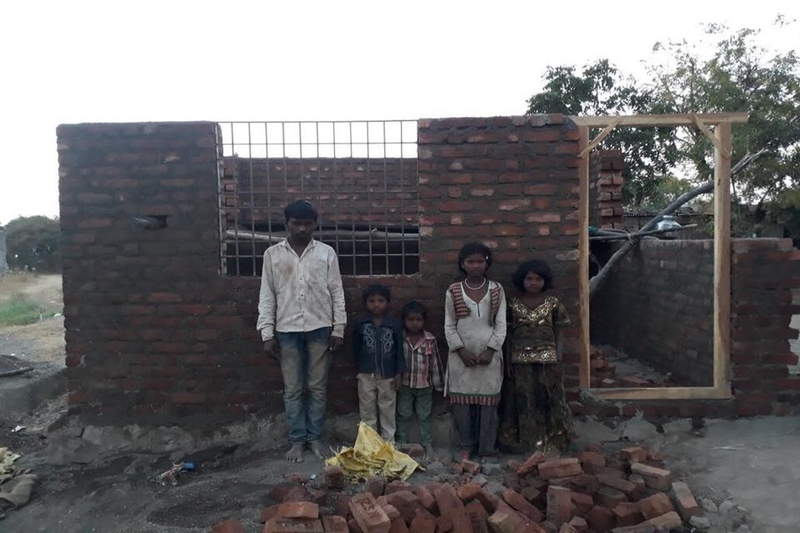 In March 2018 we built a house for 4 destitute kids (Ganesh, Gorakh, Manisha, Mangal) living there in a small village Borranjani (Tq. Ghansawangi Dist. Jalna). Their father had been sentenced to be in prison (at Nashik Central Jail) for causing death of his own wife (children’s mother!). They didn’t had a basic shelter on their head; and were living in a worst condition that we could ever imagine. 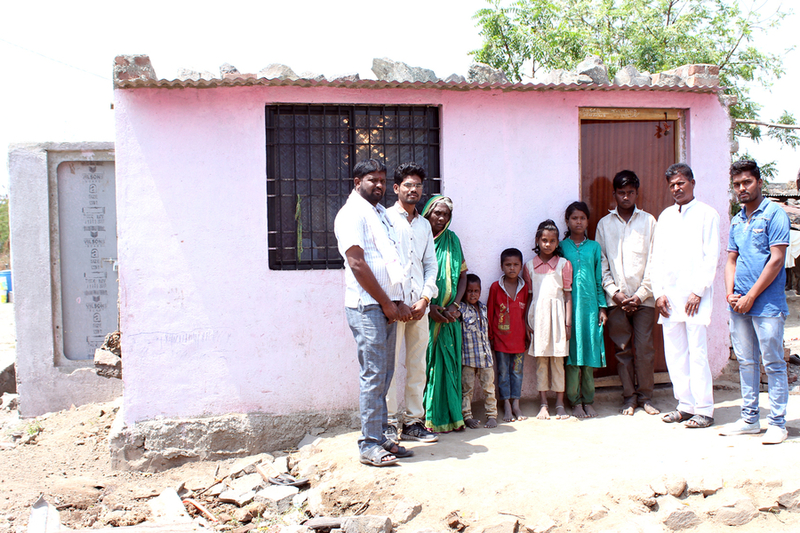 But now they have their own home, and being provided with educational aid as well. On Friday 8th March 2019, we extended helping hand to a street beggar family wherein all 6 members are visually impaired. 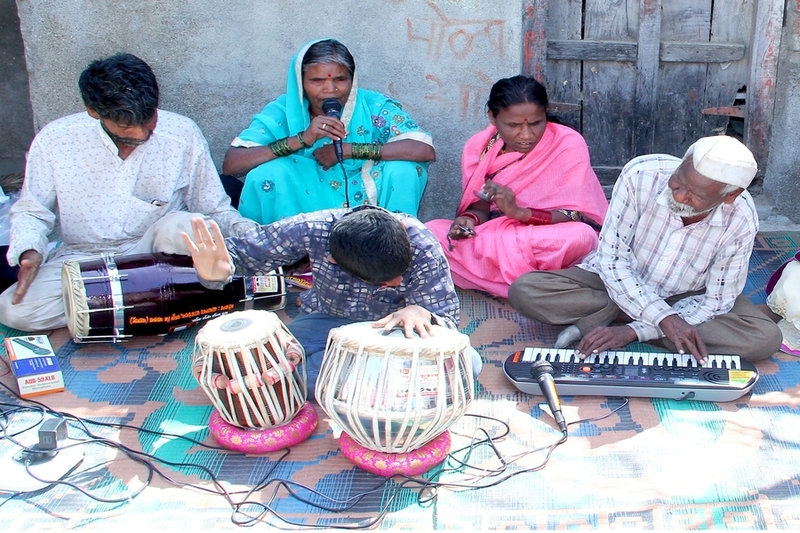 Although they don’t have eyesight, but God has gifted them very good singing and musical skills. 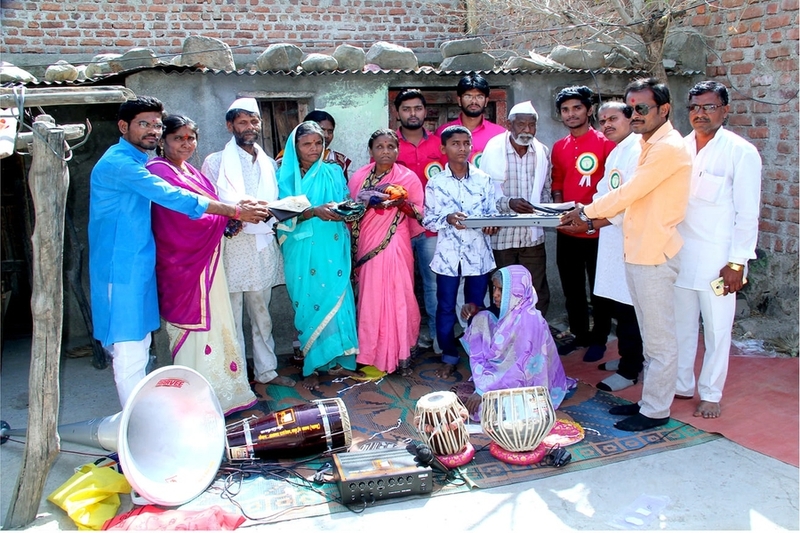 Knowing that, we have provided them with musical accessories with which they can enrich their own musical skills and present that in a better way to earn their own food, instead of begging for it. We hope that our little efforts will give them an opportunity to live life with self esteem. Help us so that we can help them in their need.